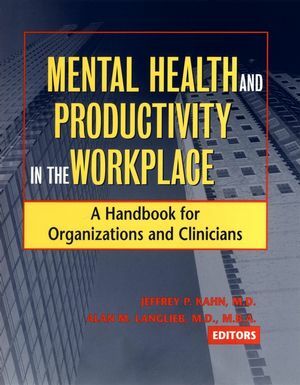 "This is the first book to provide an overview of the broad range of services that consulting psychologists provide to individuals, teams, and systems. In addition, it provides insight into specialty areas such as international consulting and the ethical issues confronted when doing this work. One of its major contributions is its emphasis on ways to assess the impact and effectiveness of various consulting interventions. It will be a useful tool for senior practitioners as well as to those who hope to enter the field." "The Handbook of Consulting Psychology provides information that is both comprehensive and cutting edge. The content provides helpful insights for those beginning their career in the field as well as those who have been consulting for years." "This book would be an invaluable addition to the professional library of any psychologist or student of psychology who is involved with organizational consultation. The handbook is a most impressive and scientifically sound text. I cannot praise it highly enough." "Far from being yet another book in consulting psychology, The Handbook of Organizational Consulting Psychology marks the coming of age of consulting psychology as a field. The contributors systematically offer both breadth and depth to the actual workings of consulting psychology. The book is to be recommended not only as a 'state-of-the-art' document, but also as evidence of the fruition of the field. It is an historic marker of the distinctiveness of consulting psychology, a kind of 'declaration of independence' for the discipline. It deserves to be a classic." Whether working on the individual, group, or organizational level,consulting psychologists have become vital to improving the peopleside of organizations. Practitioners working with organizations inbusiness, government, and nonprofit institutions have a need for acomprehensive guide to the issues they face in this expanding fieldof practice. The Handbook of Organizational Consulting Psychologyis the first systemic treatment for the profession, specificallydesigned to help practitioners in assessing and coachingindividuals, creating or improving team functioning, and improvingthe quality of the organization as a whole. 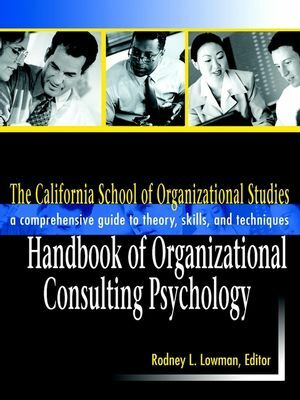 The Handbook of Organizational Consulting Psychology, which is avolume in The California School of Organizational Studies series,features contributions from some of the world's eminent authoritiesin consulting psychology. The book's editor, Rodney L. Lowman, ishimself a renowned educator and practitioner in the field. Thecontributors offer their wisdom on a remarkably wide range ofissues, including assessment and evaluation, team building,executive coaching, personality testing, interpersonal conflictsand relationships, multicultural and diversity issues, what worksand what doesn't in organizational consultation interventions, howto hire and best use consultants, and other key issues forindividuals, groups, and the organizational system. Organized intosections on individual, group, and organizational topics, the bookincludes a section on professional practice issues as well as asection on the special issues in consulting to industries, schools,and government, nonprofit, and international organizations. This all-encompassing guide is destined to become a classicreference work for professionals of all types who aspire to workeffectively with executives, managers, teams, or larger groups inall types of organizations. PART ONE: FOUNDATIONS OF ORGANIZATIONAL CONSULTING PSYCHOLOGY. 1. Individual-Level Variables in Organizational Consultation (Andrew D. Carson and Rodney L. Lowman). 2. Organizational Consulting to Groups and Teams (Arthur M. Freedman and E. Skipton Leonard). 3. The Organizational Level of Analysis: Consulting to the Implementation of New Organizational Designs (Susan Albers Mohrman). 4. The Role of Systems Theory in Consulting Psychology (Dale R. Fuqua and Jody L. Newman). PART TWO: INDIVIDUAL LEVEL APPLICATIONS. 5. Individual Interventions in Consulting Psychology (Richard R. Kilburg). 6. The Effectiveness of Executive Coaching: What We Know and What We Still Need to Know (Sheila Kampa and Randall P. White). 7. A Consultant?s Guide to Understanding and Promoting Emotional Intelligence in the Workplace (Shani Robins). 8. Assessing Candidates for Leadership Positions (Andrew N. Garman). 9. Enhancing Peak Potential in Managers and Leaders: Integrating Knowledge and Findings from Sport Psychology (Sandra Foster). PART THREE: GROUP LEVEL APPLICATIONS. 10. Successfully Implementing Teams in Organizations (Douglas A. Johnson, Michael M. Beyerlein, Joseph W. Huff, Terry R. Halfhill, and Rodger D. Ballentine). 11. The Psychoanalytic Approach to Team Development (Pieter Koortzen and Frans Cilliers). 12. Organizational Consulting to Virtual Teams (Joanie B. Connell). PART FOUR: ORGANIZATIONAL LEVEL ISSUES. 13. Assessing Organizations (Harry Levinson). 14. Organizational Evaluation: Issues and Methods (E. Jane Davidson). 15. Leadership Development in Organizational Consulting (Steven W. Graham and Debra A. G. Robinson). 16. Proactive Ways to Improve Leadership Performance (Fred E. Fiedler). 17. Psychological Consultation to Organizations: Linking Assessment and Intervention (Harry Levinson). 18. Integrating Individual Assessment, Position Requirements, Team-Based Competencies, and Organizational Vision: Roles for Consulting Psychologists (John T. Kulas, Brad A. Haynes, Suzanne M. Kalten, Pamela J. Hopp, and Rebekah L. Duffala). PART SIX: ISSUES IN CONSULTING TO SPECIFIC TYPES OF ORGANIZATIONS AND FOR SPECIFIC TYPES OF CONSULTING. 19. Consulting to For-Profit Organizations (Cecelia L. Brock). 20. The Role of Leaders and Consultants in Fostering International Organizations (Nurcan Ensari). 21. Assessment and Intervention Issues in International Organizational Consulting (Ann M. O?Roark). 22. Cross-Cultural Issues in International Organizational Consultation (Virginia Mullin and Stewart Cooper). 23. Consulting with Healthcare Organizations (Ira M. Levin). 24. Organizational Consulting on Healthy Lifestyles (Paul Lloyd and Louis Veneziano). 25. Appreciative Inquiry as an Approach for Organizational Consulting (Peter F. Sorensen, Jr. and Therese F. Yaeger). PART SEVEN: MEASUREMENT, EVALUATION, AND EFFECTIVENESS ISSUES. 26. 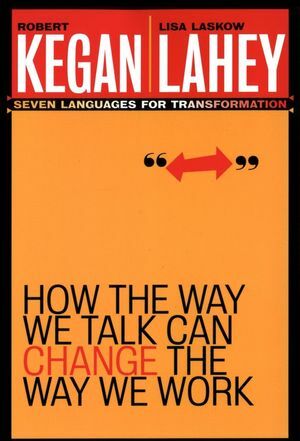 Interventions That Work (and Some That Don?t): An Executive Summary of the Organizational Change Literature (Terry R. Halfhill, Joseph W. Huff, Douglas A. Johnson, Rodger D. Ballentine, and Michael M. Beyerlein). 27. Assessing the Impact of Organizational Consulting (Paul C. Winum, Tjai M. Nielsen, and Robert E. Bradford). 28. Understanding Organizational Processes and Performance: A Continuous Improvement Model for Consulting Psychologists (Delbert M. Nebeker and B. Charles Tatum). 29. A Strategic Approach to Measuring Organizational Performance: Tools for the Consulting Psychologist (B. Charles Tatum and Delbert M. Nebeker). PART EIGHT: PROFESSIONAL PRACTICE ISSUES. 30. Issues in the Ethical Practice of Consulting Psychology (Jody L. Newman, Sharon E. Robinson-Kurpius, and Dale R. Fuqua). 31. Recommendations for Managing Consultants: The View from Inside the Corporation (Karen M. Grabow). Appendix: Principles for Education and Training at the Doctoral and Post-Doctoral Level in Consulting Psychology/Organizational.